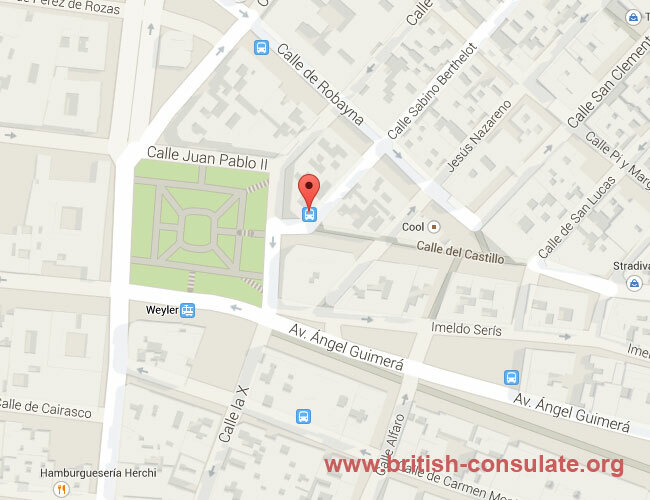 The British Consulate Santa Cruz de Tenerife can assist you with consular assistance and also with advice on a fiancee visa, spouse visa or a partner visa. If you have been involved in an accident then the Consulate can assist you with contacting your family and provide you with translation assistance. The contact details for the British Consulate has been listed below with a map, telephone number as well as a street address. Note that this consulate is not open every day and you will need to contact them before you go to ensure that you have all the correct paperwork and forms as well as that they are open on that day.